Star Trek: Insurrection was many things, and a good movie unfortunately isn’t one of them. But it had some interesting ship designs, though! 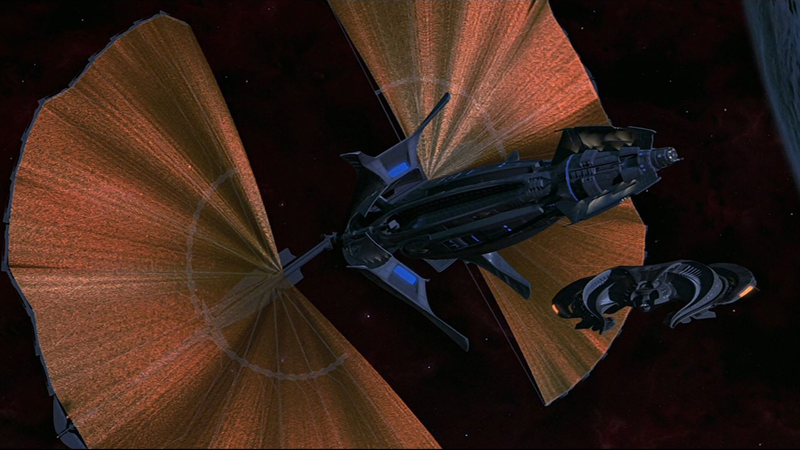 The first Star Trek movie to fully embrace CGI for its space-faring scenes, it also features some distinctive ship designs in the form of Son’a vessels, which have an interesting, angular design to them, like blades shot through the stars. The CGI isn’t anything amazing, and like anything from that era it has a sort of glossy goofiness to it, but it’s neat. Which is why “Insurrection—Just the Ships”, a fan edit on YouTube, is probably the only version of Insurrection worth watching. Cut down to, well, just the ships, it’s a fun, brief look at the interesting designs of the movie and nothing more. Forget the fountain of life stuff, forget the character derailment, forget that this is some of the last of The Next Generation we ever got, and enjoy them spaceships. Mmm, that’s good spaceship. I’m looking forward to the “Just the ships but every time they fire photon torpedoes it gets faster” cut, which, if I understand YouTube right, is now inevitable.